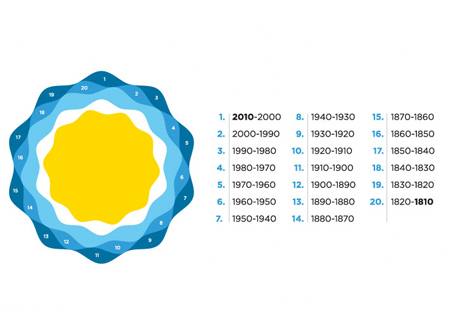 Over the last year, “Flat Design” has become the big buzz word being dropped by, and embraced by everyone. The flat look is nothing new, it just seems fresh in a sea of over played sketchbooky, hand drawn looks that have proliferated for so long. When flat is done right, it doesn’t feel that flat. The video below from Gonzalo Menevichian for Planeta Pop for The Glitz* channel are a great example. These fun little spots have plenty of graphic impact, balanced with solid 2D animation and feel that still feels analog without relying on a design style that has been played out. Posted in Animation, Design and Art and tagged Animation, Argentina, Design, Glitz*, Gonzalo Menevichian, Motion Graphics, Planeta Pop, Video on December 17, 2013 by Author. One of the things that has the biggest impact on me when looking at a logo or visual identity, is not only the iconic originality of the design, but it’s ability to adapt to many situations of use. 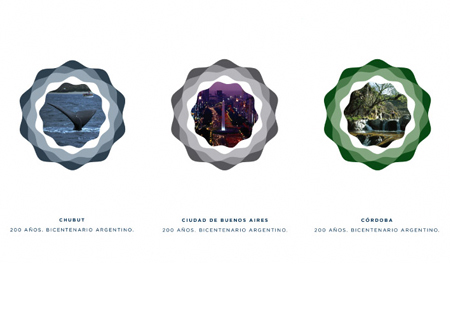 Over the weekend I came across an article at Grafitat talking about the logo design for Argentina’s bicentennial celebration this year. The logo, created by imagenHB was designed to be unifying, and highly adaptable for the provincial regions of the country. When you look at all the iterations of the logo, you immediately see just how successful this system really is. 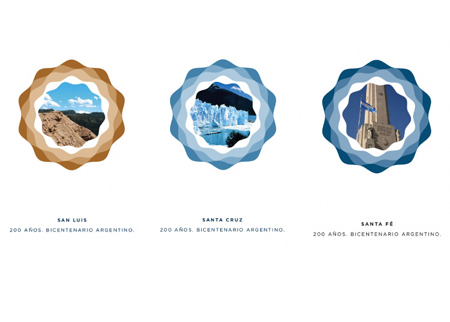 The imagen proposal led by Hernán Berdichevsky and Gustavo Stecher with Juan Pablo Tredicce, chose a universal symbol that identifies the national celebration, and had the ability to adapt to the festivities of each province without losing its distinctive feature. Starting with the shape of a celebratory ribbon and rondel, the universal logo was distilled down a simple chromatic color pallet which represents the values and colors of the whole country. 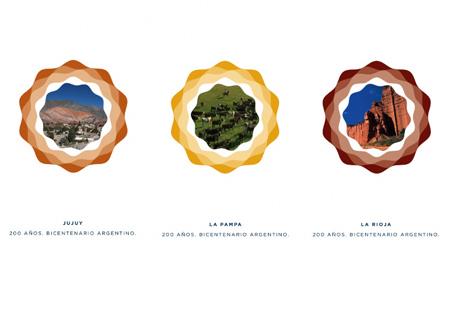 The Sun is the centrepiece illuminating every corner, every city and the people of Argentina. 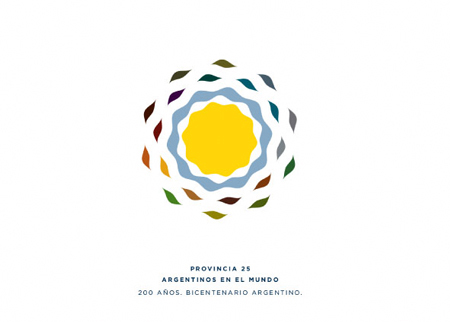 The provincial logos take the same base logo and redefine it using unique colors and images that are reflective of that provinces culture. 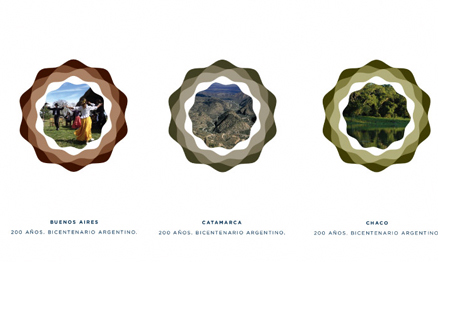 This allows the identity more flexible and personal, without losing its distinctive form. In the images below you can see how imagenHB’s well thought out style guide and brand rules helped to shape the way this logo and identity system was implemented on a national level. It is that attention to detail, and the agencies intimate knowledge of the subject matter that helped to make the system a success. 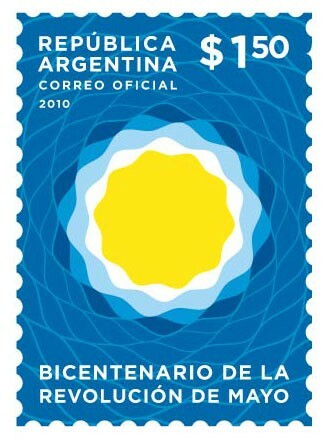 Posted in Branding, Design and Art and tagged Argentina, Bicentennial, imagenHB, Logo Design on August 23, 2010 by Author.